The communications field includes mobile phone handsets and cellular networks, long-haul optical and satellite communications, data transmission and security, the internet and digital broadcasting. It’s one of the fastest growing engineering sectors, and one in which the UK is particularly successful. If you’re looking for a career in the communications industries, this course is for you. You’ll gain a broad foundation in modern electronic engineering and the mathematical and scientific principles that underpin it. You’ll also choose from a range of specialist options, from high-frequency and microwave engineering – as used in mobile communications links – to medical electronics. You’ll be taught by experts in world-class facilities, giving you access to the latest research in the field and developing your knowledge base. Project work in every year will also help to develop your professional skills for diverse roles across the communications industry. This course is a four-year degree. If you choose to finish after three years, you will graduate with a BEng in Electronic and Communications Engineering. For your final-year project, you could also have access to facilities such as our bionanoelectronics research laboratory, ultrasound sensing laboratory or terahertz imaging laboratory. 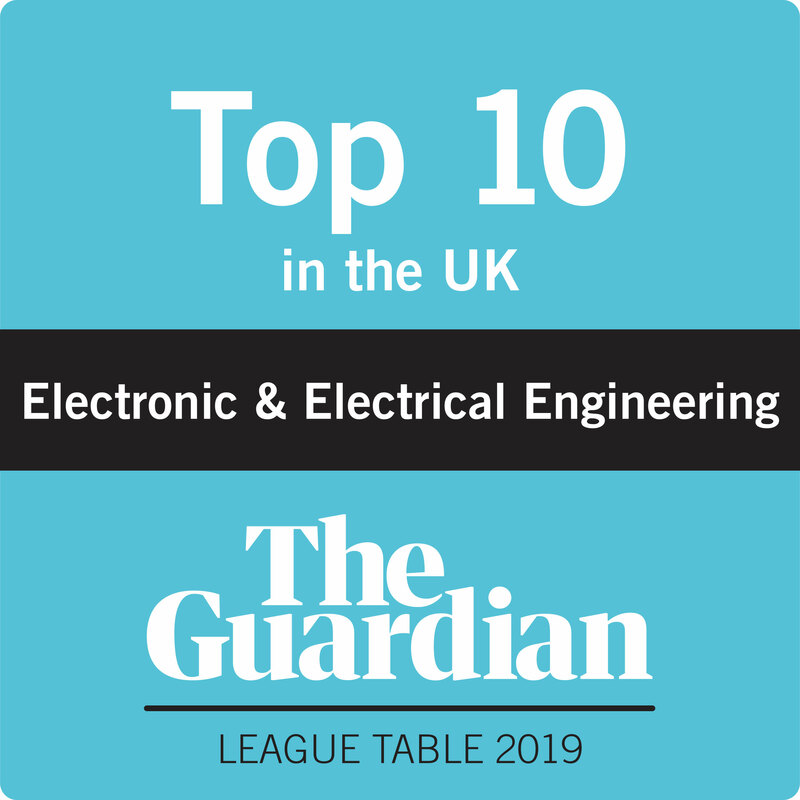 In Year 3 you’ll learn more about the professional context of working as an engineer, and you’ll build specialist knowledge of communications engineering through modules on topics like radio frequency and microwave engineering or embedded systems. If you continue to Year 4 for the MEng qualification, you’ll choose from a range of Masters-level optional modules to specialise in topics such as network security and cellular mobile communications systems. You’ll also complete a dissertation on an aspect of the electronics industry and apply your knowledge to a substantial research project. Every year of the programme gives you hands-on experience of project work. This gives you the opportunity to explore your subject further as well as developing valuable skills in problem solving, communication and teamwork. All of our degrees will equip you with the skills you need to succeed in industry, including design, problem solving, numeracy and analysis skills, together with ‘transferable skills’, such as communication and working as a team. Because of the nature of the electronics industry, the demand for high calibre electronic engineering graduates is high and wide-ranging employment opportunities exist both in large multinational corporations and small start-up companies working on next-generation products and technologies. Our graduates have gone on to launch careers as network, design and renewable energy engineers and a variety of other roles at organisations such as Bombardier Transportation, BT, Instrumentel Ltd, Kawar Energy, Motorola Solutions and Power Electronic Measurements.